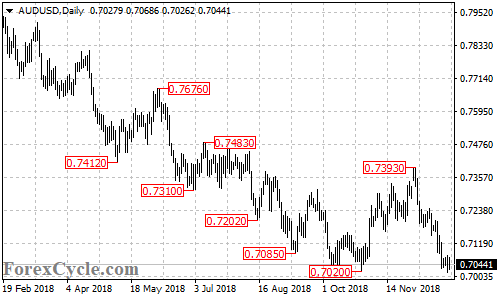 AUDUSD’s downside movement from 0.7393 extended to as low as 0.7016, breaking below 0.7020 support. Further decline is still possible and next target would be at 0.6800 area. Resistance is at 0.7100, only a break of this level could bring the price back to 0.7300 area.